From 4 - 8 you can sample 7 tastes of different types of soups and get one large bowl of soup & fixings. $12 for Adults or $8 for kids and seniors. No host bar, beer pairing by the Dawg House & wine by Esther Briques. 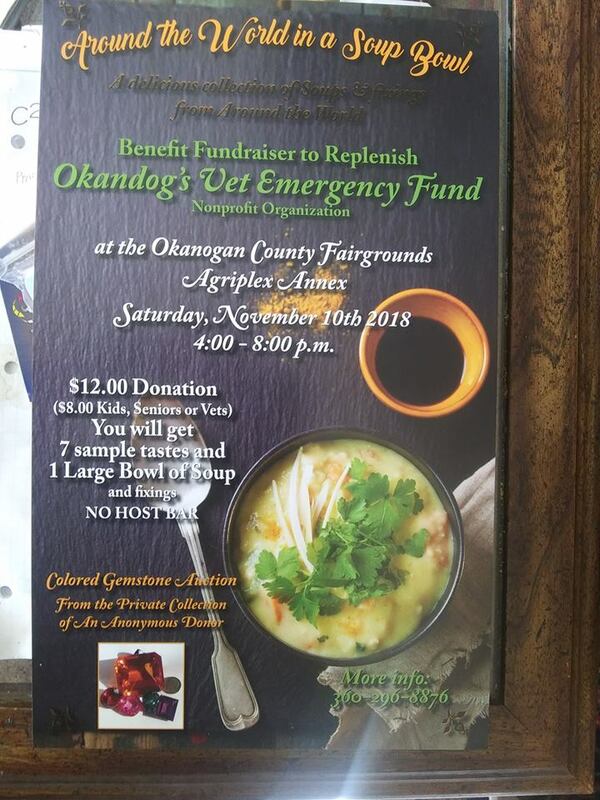 A fund raiser for Okanogan's Vet Emergency Fund, a nonprofit organization.